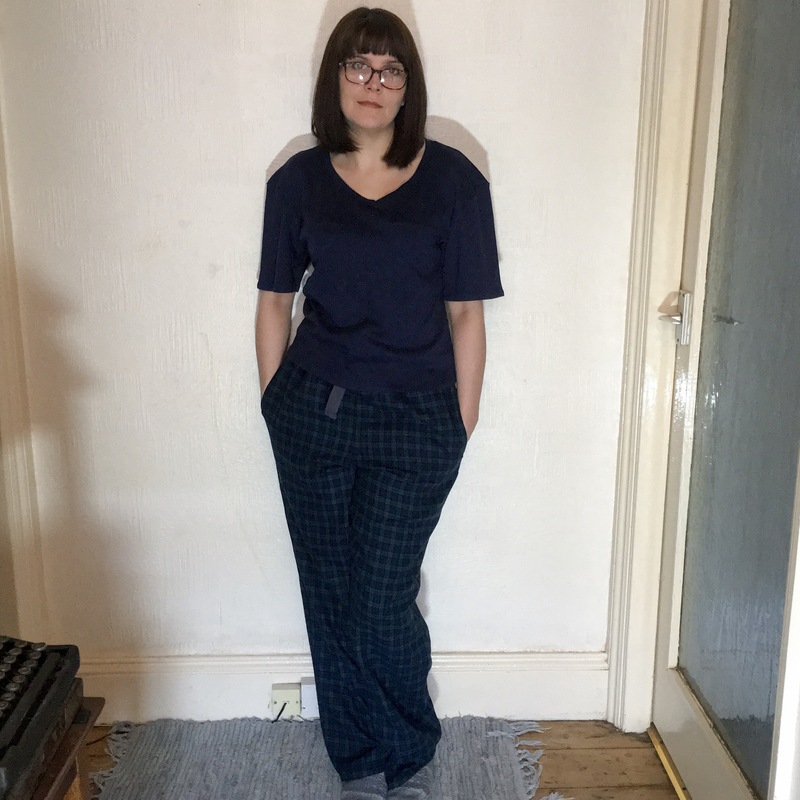 I had wondered about just keeping quiet about this project, but it took up quite a bit of my time and sewing fails should be seen as well as sewing wins. So if you are of a fragile disposition then look away now… cos this ain’t pretty. 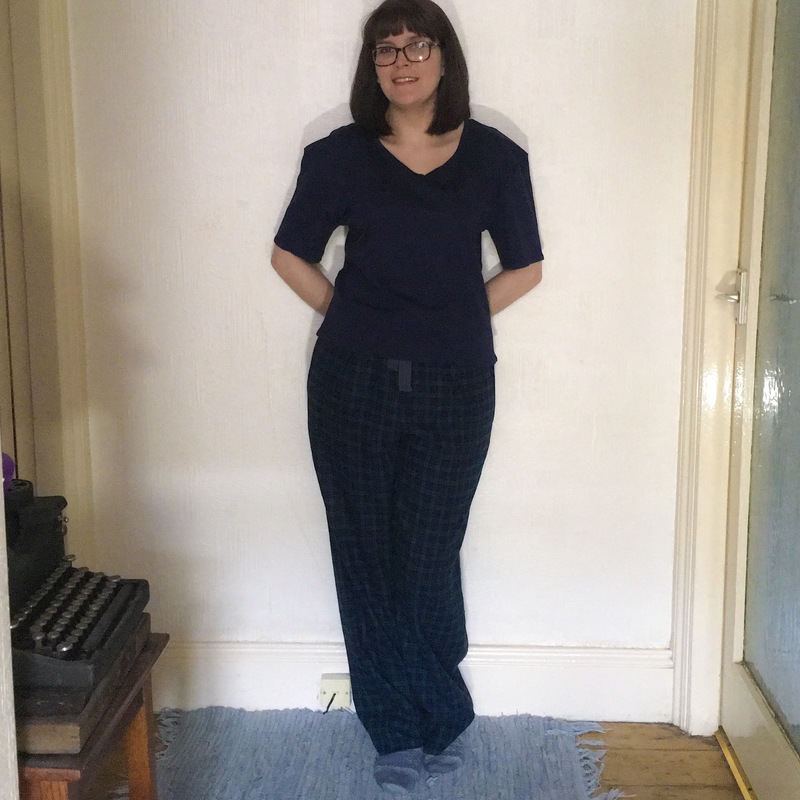 Here we have the most poorly fitting pyjamas in the world… ever! But let’s start with the bottoms. For these I sourced some black watch tartan brushed cotton… which keeps reminding me of John Snow. 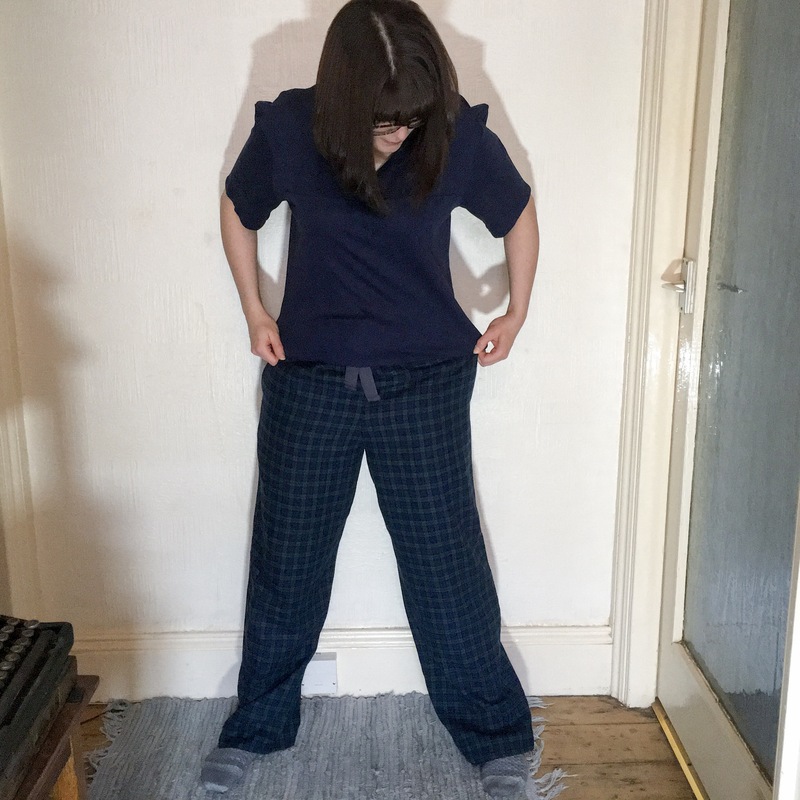 It’s a good weight for pyjamas, not too heavy but still warm. I picked the size on the envelope based on my hip size, and decided to test the pattern and make them up as is. For the most part they fit fine. The waist is a bit wide but they are elasticated as well as having a drawstring. The biggest problem (no pun intended) is the gusset.. which feels like it comes down to my knees. The stomach also seems to have quite a chunk of excess fabric too but it’s the guesset you notice first. I mean it’s so low I have to pull them up to my ribs for it to sit where it should!! This I think is the definition of a disaster on a stick! From the too wide shoulders to the botched v neck all the way down to the too short hem…. this is just crap! Again I chose the size based on bust size… and it’s just freakin huge. This is a cotton jersey I found on eBay, which if I’m perfectly honest, I will not be using again!! It has crap recovery, and is infuriating to sew with! My machine just kept chewing it up and there didn’t seem to be anything I could do to help. If I’m perfectly honest I finished the top out of sheer stubbornness rather than any desire to actually finish the damn t shirt!! Ahem… so yeah… it was frustrating. So then… would I use this pattern again? Probably not. It wasn’t just the deep gusset I found disappointing but the instructions were pretty damn vague. 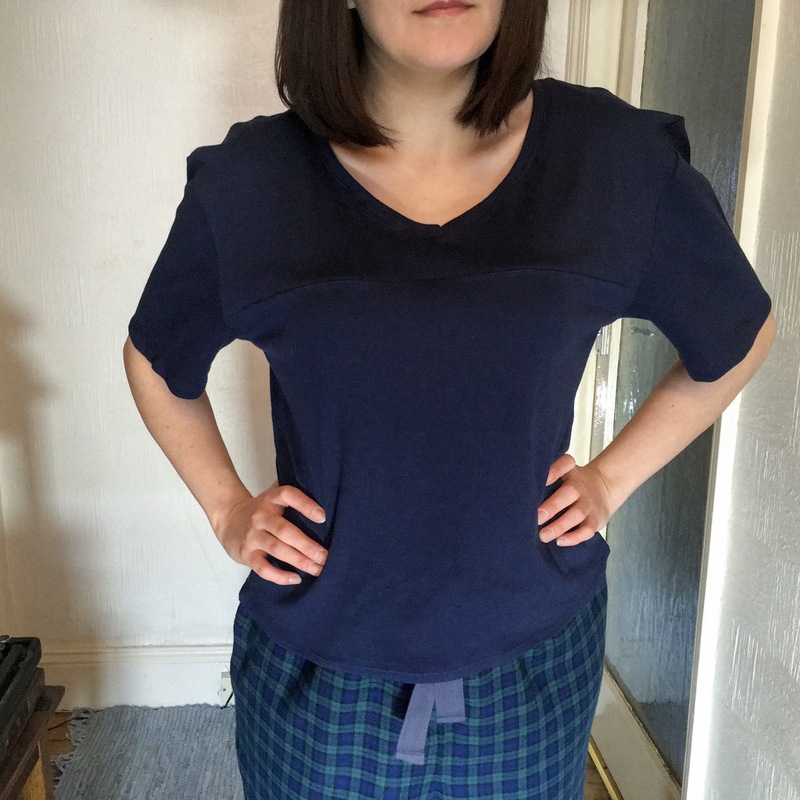 This was my first attempt at a v neck, and the instructions were so poor I just tried to wing it… and it’s horrendous! 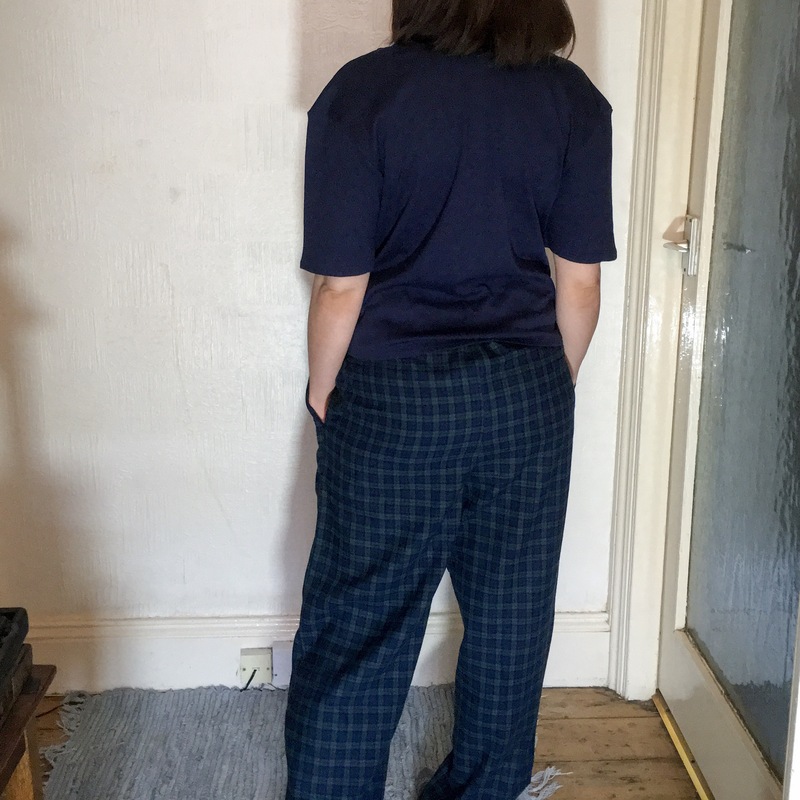 If I’m honest I’d be much more inclined to just use Tilly’s pyjama bottom pattern with a regular t shirt. Will I actually use these items? Only time will tell, I’m still a bit angry with them so maybe not right now. Although sad for you, for me it’s somehow heartening to know other people have sewing fails. Reading through your blogs and seeing your incredible makes is very inspiring but also daunting so the occasional less successful project seems to make what you achieve more attainable for me! Don’t know if that makes sense to you! 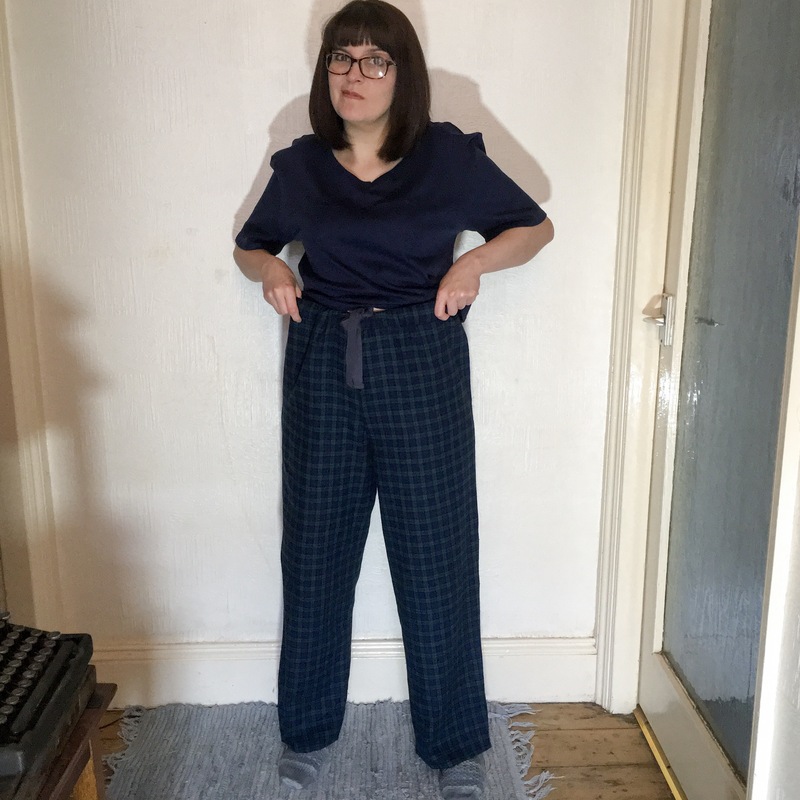 I’d love to comment on every blog but you might think I’m a weird stalker so I will refrain and just say excellent work and a very helpful blogging diary. Thanks for taking the time and effort to post your work.